If you have seen pictures of military buildings and city gates in Beijing, chances are some of those pictures were taken in the city’s historic Qianmen area. This area is one of the most recognised in all of Beijing due to two very important political events that took place there. If you have any plans to visit Beijing, the Qianmen area should be part of those plans, along with Nanluoguxiang and the 798 art district. Situated very near the city centre, a short walk from Wudaokou, the Qianmen area gets its name from its main thoroughfare. Qianmen Street is a pedestrian avenue that runs just under 920 yards in length from the Archery Tower at the north end to Tiantan Park at the south. All along the avenue are remarkably beautiful buildings that span hundreds of years, from the mid-17th to the early 20th centuries. Gatehouse – The Tiananmen Square gatehouse is one of the last remaining gatehouses that comprised the wall of the old city. Surprisingly, China’s military occupied the gatehouse until 1980. It is now a tourist attraction that draws visitors from all over the world. Archery Tower – The archery tower is part of the Tiananmen Square gatehouse complex that sits just to the south. It looks more like a temple than a military installation, but that is typical of Qing Dynasty architecture. Tiananmen Square – Of course, you have to actually go stand in Tiananmen Square if you are going to go to the effort to see the Qianmen area. It was in this square that Mao Zedong declared the establishment of the People’s Republic of China in 1949. It is the same square that gave birth to China’s pro-democracy movement in 1989. Quanjude – Along the avenue, you’ll find Quanjude, a restaurant with an authentic Chinese brand that is famous for its roast duck. The restaurant is a destination unto itself for those who love the intricate flavours and textures of local Beijing cuisine. Zhangyiyuan Tea Shop – In the area’s retail section, you will find this delightful little tea shop that sells dozens of traditional Chinese teas along with a few extra items specifically aimed at tourists. But make no mistake; the tea is the main draw here. China Railway Museum – The Zheng Yang Gate branch of the China Railway Museum is located just outside the Tiananmen Gate. The state-run museum is dedicated to the collection and preservation of historical elements of China’s railway system. Each branch of the museum has a unique display that makes it very worthwhile to visit all three. accessible from the main thoroughfare. Electric trolleys run up and down Qianmen Street during the busiest times of the year, so pedestrians still have to be careful about where they walk. 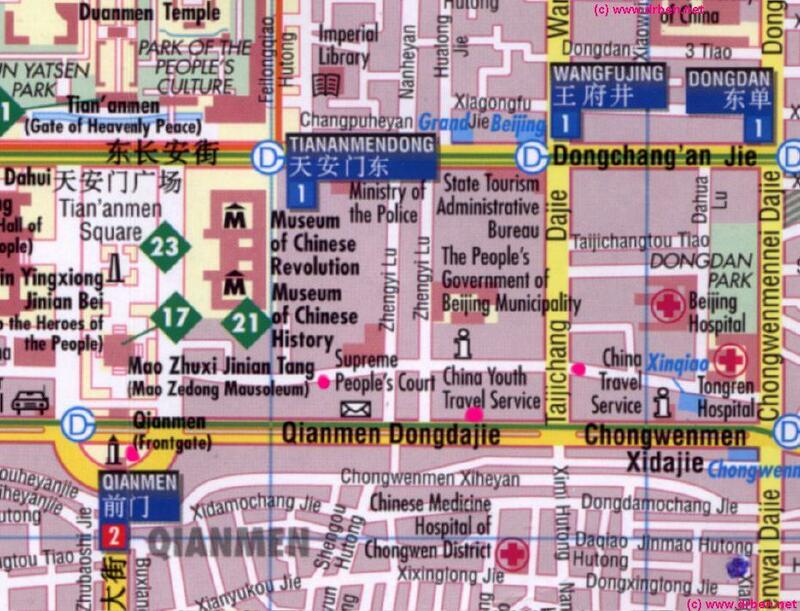 You can get to the area from anywhere in Beijing by using the Line 2 metro route and exiting at the Qianmen station. You can also exit a few stations to the east or west and then walk into the area. If you prefer, there are plenty of tour companies that include the area in their single-day guided tours of Beijing. 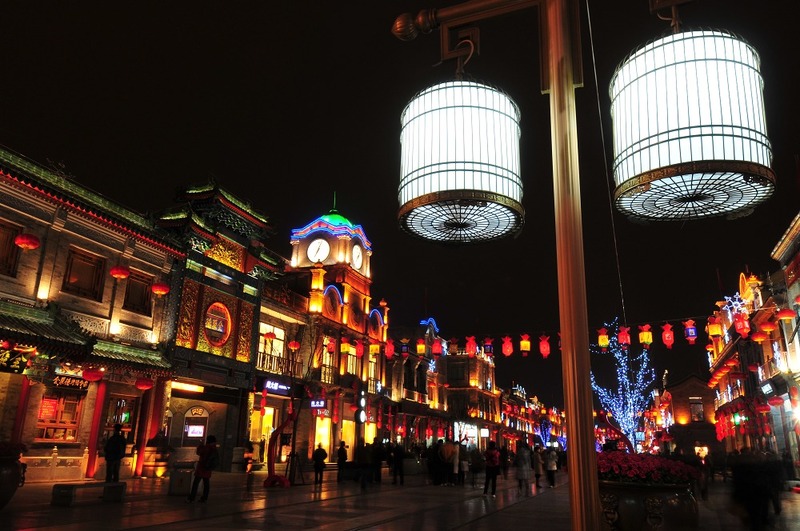 The Qianmen area is one of the most historic neighbourhoods in the city of Beijing. It is one that should not be missed if you are planning a visit. Visiting China is my Ultimate desire. Hope to visit my dream city Beijing and Shanghai soon. As an American, I appreciate China,s Heritage, culture, the economy as well as its Agricultural growth.